YOU MIGHT NOT KNOW Kelly McEvers’ face, but you probably know her voice. 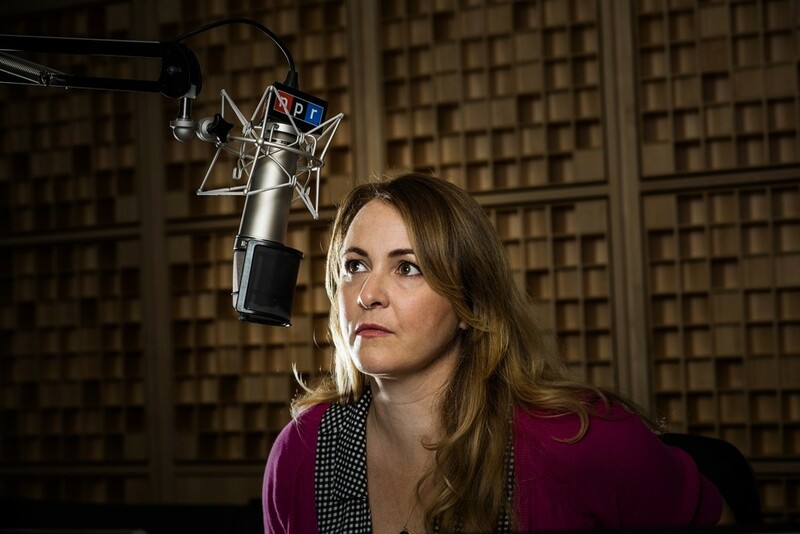 McEvers, one of the hosts of NPR’s All Things Considered, is launching a new NPR podcast on March 31st called Embedded, in which McEvers takes her experience as a war correspondent and tackles the “front lines” of domestic issues and stories. With this podcast, the seasoned journalist aims to dig deeper into various issues, in order to get to know the people behind them better. McEvers spoke with Lady Clever about her career trajectory, misconceptions about being a woman in the Middle East, what she hopes to achieve with Embedded, and why she wanted to cover domestic issues using the same approach she uses when covering war. Tell us about your career in journalism. How did you end up in the Middle East, when you first started out in Chicago? In 1999, against most advice, I quit my reporting job at The Chicago Tribune and moved to Cambodia. I took a huge pay cut to work at an English-language newspaper and learn how to be a foreign correspondent. I ended up stringing for the BBC World Service, then I did freelance radio for ten years. I was hired by NPR in 2010 as the Baghdad correspondent. I covered the withdrawal of US troops from that country, the Arab Spring, and the Syrian civil war. I moved back to the US in 2013. What initially drove you to want to be a war correspondent? I never set out to do war. After 9/11, I figured all roads led to the Middle East. I had worked in Indonesia — the world’s most populous Muslim country — and the Muslim republics of Russia. The Middle East was the big time. The Arab Spring was the greatest story of a generation. Sadly, in many places, that hope turned into war. Many news and media outlets portray the Middle East as being hostile to women — both foreigners and its own female citizens. Have you ever had any experiences where you felt being a woman made things more challenging or dangerous for you? This is a very common misunderstanding about the Middle East. Being a woman is amazing in that region. I remember one day, on the front lines of the war in Syria: I hadn’t showered in days, I was dirty and smelly, and still this rebel fighter politely took my arm so I could avoid walking in a small mud puddle. People respect women very much. The only problem that I had, when living in Saudi Arabia, was that I couldn’t drive. But then that was nice, too. I could get work done while someone else drove. What brought you back to the United States? Covering Syria takes a toll on most reporters. And living in nearby Beirut was hard for my family, given that the violence from Syria occasionally spilled over. There were car bombings and skirmishes in places that we frequented – once right in front of our house. I decided the best way to cover these conflict is do it for a few years and then let someone else do it for a while. NPR’s current correspondent in Beirut is fantastic. Have you ever declined to cover a story, or travel to a region of a world, because the risk of danger was just too high? I was profiling a pirate once, and I decided to choose one in Malaysia, not Somalia. And of course, once journalists started getting kidnapped inside Syria, that’s when I stopped going inside Syria. Otherwise, I really can’t remember a time when I thought I shouldn’t go somewhere. Has your family ever asked you sit an assignment out because of the risks? They haven’t. They trust my judgment. But I know that everyone was happy we came home in 2013. That said — I’m still doing what I do. I covered the Ebola outbreak in 2014, and I was just in South Sudan, which is still reeling from a civil war, last month. In your new podcast, Embedded, you say your aim is to cover domestic issues and stories like a war correspondent. What do you mean by that? When I left the Middle East, I couldn’t imagine caring about a story as much as I cared about Syria, Iraq, Yemen, and Bahrain. But then I came to the US and saw that we have problems here, too, and those need to be reported on. I realized there are “front lines” in this country – the opioid crisis, for example — and that I wanted to go to them, too. How do you choose the stories you cover for Embedded? Is there a checklist of certain points a story has to hit? Do you just have that gut feeling that tells you need to cover this story? It’s definitely about my gut. But we also want stories that will illuminate the news headlines; stories that will unfold while we’re “embedded;” and stories that feature real and surprising and reflective people. How long does the reporting take for the stories on Embedded? How do you tackle a new story? I like to say we stay as long as we have to. Some of the episodes have a particular frame, such as “24 hours in El Salvador’s gang war” or “making a negative campaign ad.” So they have a specific time limit. But others could take weeks or months to complete. Why was it important for you to tape Embedded one-hundred percent in the field? Mainly because that’s how I like to work! But also because not many other podcasts do that. There are some great storytelling podcasts out there, but they are mainly reported in a radio studio. We wanted to bring that old NPR approach of sound-rich, long-form field reporting into this new medium. What do you hope listeners will take away from Embedded? That there’s always more to the news. That if you take the time to meet people where they are, they almost always have something to say that will surprise, delight, and maybe even upend you. How have all of your experiences affected the way that you view journalism? How has that lead you to this new podcast? I love my job. I just love it. I can’t imagine doing anything else in my life. Ever. At all. That said, I like to try it in all its different forms. We now know that people really like to go deep and listen to good journalism, in the form of podcasts. What a great time to be doing this job that I love! Follow Kelly on Facebook and Twitter, and look out for the hashtag #NPRembedded. Check out the Embedded trailer, and be sure to listen to Embedded when it premieres on March 31st on the NPR One app (which you can find here), and wherever podcasts are available.